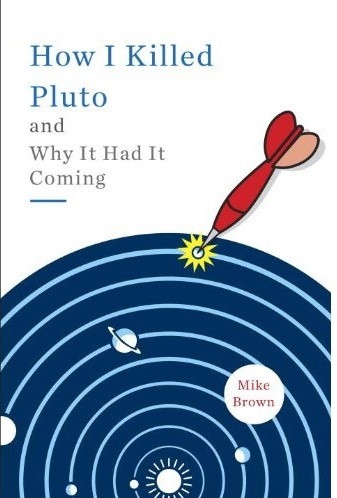 Mike Brown's Planets: Heavens above! Almost ten years ago I got to be involved in an astronomical experiment. The US Air Force had recently completed a technologically sophisticated telescope on Haleakela, the highest peak on Maui, for the purpose of spying on satellites as they went overhead. The National Science Foundation was interested to know if the new telescope might prove useful for astronomers, too, so they recruited a few test cases to come see if they could make it work. But though we were generally stymied, one moment at that telescope will stick in my memory forever. We were waiting for Titan (the moon of Saturn) to rise high enough in the sky that night and watching over the operators’ shoulders as they spied on satellites. Whenever they were foreign satellites we were kicked out of the room. But whenever they were U.S. satellite we could stay and watch. At 4am the night before, as we were driving down the mountain after a night of observing, we had listened intently to the news of the Space Shuttle parked at the International Space Station and the installations to be done that day. They were having problems, apparently, with getting a solar panel to unfurl correctly. We went to sleep not knowing what had happened. As we drove back up the mountain the next day we had still not heard any news. Around 8pm, though, Elvis, one of the operators, said “ISS coming!” meaning that the International Space Station was soon to fly overhead. “Hey, you guys seen the ISS before?” Elvis asked. “Not that I know of” I said. And the giant telescope swung to the horizon and started tracking the space station as it went across the sky and the other operator came in and starting making adjustment on the computer and then, suddenly, the Space Station came into focus. It looked much like all of the other pictures of the Space Station that I had ever seen before with two exceptions. First, the solar panels were unfurled. Second, we could see the Space Shuttle parked next to it. Every other picture I had ever seen had been taken from the Space Shuttle, so I had never seen what it looks like when the shuttle is parked right there. The view was so good that if a spacewalk had been happening right then and an astronaut had turned around to wave at the earth we would have seen him well enough to know to wave back. The telescope tracked the Space Station for about 4 minutes. When it was over, I picked my jaw up off the floor. It was, perhaps, the most amazing pictures I had ever seen a telescope make before, and it was just over our heads, rather than in the remote depths of space. Only a few weeks ago, on these very pages, I tried to remind people to Look Up! To remember that stars and planets and galaxies are not abstract things that we read about but are real concrete and viewable things in the sky above. But, really, for most of my life, I’ve been just as guilty when it comes to those other things that occupy our night skies: the satellites. It’s not that I don’t see them all the time when I am looking at the sky, but I never think of them as anything more than spots of light moving across the heavens. Sure, I know all about the Space Station. I use the Hubble Space Telescope as often as I can. I think about the astronauts and the Space Shuttle and watch NASA TV to make sure the launch and the walks go ok. But somehow I still fail to make that cognitive leap that reminds me that these things are real, and are really in the skies over head. Simply tell the web site your latitude and longitude and it will tell you all of the bright satellites that will go overhead tonight. I tried it the other night. The Space Station was making what I now realize was a particularly favorable pass. At 9:51pm I went outside (a full 2 minutes early, just in case, though I need not have). I waited. I traced precisely where I thought it was supposed to go and stared and stared just in case it was a bit faint to see in the glow of the Los Angeles skies. And then, precisely, on schedule, it silently and majestically moved from the southwest horizon to nearly overhead to the northern horizon over the course of about 4 minutes. It was brighter than anything else in the sky at the time. She looked at me, nodded, and went back to the email she was writing. OK. I get it. Satellites aren’t for everyone. But they’re out there. They’re real. They’re waiting. That bright light travelling across the sky contained three people who at that precise moment could have been looking down and seeing the crescent earth with the sun still illuminating the Pacific while California was now bathed in dark. Those people are really there. As for the Space Shuttle, which set me on this mission, it hasn’t been visible yet. You can only see satellites when – like an airplane high in the sky at sunset – they are still illuminated by the sun while you are in the dark. By chance that has not happened over California yet while the Shuttle has been up. I might get a chance on Friday, when it is low in the sky around 5am. I will definitely wake up for it. It’ll be my last chance to see the Hubble Space Telescope and the Shuttle together and to remind myself that up there these things that we built, these people that fly to them, are all real, and finally on their way back home. Sometimes I think they should ressurect the old Titan. It would have made a great rescue vehicle; instead of taking a week to get ready for a mission, it can be fired more or less instantly. But really, we can't do that, they don't make them any more and used up all the rounds launching various satellites and interplanetary probes. Surveying the various existing launch vehicles, the best candidate for a rescue vehicle would be the Russian Proton rocket. They do still make that one, which would shortcut a lot of R&D (not all, there's the vehicle itself, the adaptor, etc.). It started life as the old Soviet SS-18 ICBM. It was a horror weapon. As if a multimegaton H-bomb were not horrifying enough, they made anthrax warheads for it, too. The Air Force had a name for the rocket. They called it the "Satan". Well, the Titan worked. The Satan was never fired in anger. Neither was the Titan, so I guess the Satan worked, too. Both got put to work doing sane tasks. The anthrax turned out to be a fizzle. One of our scientists, ironically the one assigned to beat that sword into a ploughshare, stole the weapon from the arsenal and fired it at Bob Stevens, photo editor of the Sun. I speculate he did that because he didn't like pseudoscientists and considered Mr. Stevens the chief of them. Using the highly accurate U.S. Mail, he hit the target and missed his mailman. Then he fired at Senators and missed those targets and hit their mailmen. He fired from his father's institute of higher learning, I believe to discredit said institution (sadly, it worked - for a while). They said he chose the launchpad because of some girl. The girl turned him in. Our astronomers, in co-operation with the military, scan the skies for incoming asteroids, and finally found a target on October 6, 2008, which gave it the license plate number 2008 TC3. What I found really interesting about the object at the time is that it was following the Hohmann minimum energy trajectory for Mars, which was invented by Dr. Hohmann to make transfer between planets with the least amount of fuel. This lead to speculation (which I subscribed to at the time) that it might be a burnt out rocket casing from some Mars mission. This had very serious political implications for the war-torn target country, which was Sudan. There was an earlier impact in Peru which started rumors that "the enemy" had fired a missile at them, and I was afraid, given the attitude in Sudan towards "Amerika", that a similar rumor might start there and that they might think it was deliberate. At the time I advocated that the military go out and find it, since I felt they were the best equipped to do so. It's traditional in wars to depict the enemy as ignorant. But they do have a University of Khartoum in Sudan, and Professor Muawia Shaddad turned out the entire physics department, students and all, to find it. And they did. It was a natural object, a ureilite. It's the only object spotted in outer space before impact to be found. What interests me in my narrow little field is that it appears that the Hohmann minimum energy trajectory just might be a chaos attractor for incoming asteroids. I'd never thought of that before this solid evidence came in, but it makes sense; two planets working together to capture a random object. And the practical implications for the warriors and their scouts protecting us is to watch this avenue perhaps a little more closely. Mike, I love your stories. They are always uplifting. And you're a great writer. Thanks for helping us visualize what you experienced! Thanks for the story. Sorry to ask an unrelated question but I could see that 2003AZ84 was finally numbered. Did you (or someone of your team) submit a name to the IAU? Its H below 4 would deserve a proper name don't you think? There used to be an email service that would alert you whenever the ISS would transit the sun anywhere within a specified distance of your location. I saw it once. If you blinked, you missed it. Cool story; as an amateur astronomer and retired USAF military member, I can attest to the paradoxes inherent in the classified world. I once remember having to label a simple 2$ ball-peen hammer as "unclassified" simply because it was co-located with classified material! I've also heard astronomers at the Whipple observatory complain about the bewildering fax system they have to endure to assure their are no military satellites overhead when they calibrate their optical lasers. I can, however, understand the fears of the USAF astronomers; they know that someone will see "Titan" stamped unclassified and unwanted questions will ensue! I started using "heavens Above" about 10 years ago on my original Palm. Every time I synced it, the software would update. Since it was on the Palm, I had it with me everywhere I went. Of course, in days before GPS, I often would have to guess at latitude and longtitude, but is generally worked fine. I now use the software on my Windows Mobile based phone. It's great! That www.heavens-above.com web page is great. Orbital path of ISS is such in this time, that I can watch ISS even twice per evening. I live in central Europe and so I have bright ISS quite often above my head. Cometary, asteroidal section on that web page is also interesting. Big part of comets come from Orion constellation, or from area around it. That is area, where cosmic rays sources - two hot spots were detected by Milagro cosmic rays survey.Those two hot spots are probably actually projections of one source hurtling toward us, what is close to orbit of Saturn now. Relative motion of Earth on its orbit causes, that we see two sources,spots in such shape, mutual distances. Heavens above is a wonderful resource. Last year I had wrapped it together with Clear Sky Charts and Google Maps to provide a resource for some local Scout Camps. During a discussion about age, someone who hadn't realised how old I am found out and asked me if I remembered the moon landing. I was only 5 at the time, but I do and this was what I told her. It's possibly the most vivid memory I have, even now. I have this incredibly clear moment. I remember that I was walking home from school after watching the landing on TV (we were all called in to one space so that we could all see it on this old B&W television), and it was one of those times where the moon was visible during the day. And I remember looking up and seeing it and that's when the impact really hit - "We have people on that. Right now, while I'm watching." It sent chills through me then and the memory still does now. Everybody seems to have a moment in their life that sets what and who they are going to be - a turning point. That one was mine. I don't know what it did, but something in me changed in that moment and, cliched though it sounds, I was never the same afterwards. I still have the cloth copy of the Apollo 11 mission patch that the newspaper put out as a commemoration. Almost forty years later and I still have it, along with the actual newspaper report of the landing. If someone was to ask me was the biggest regret about living when I do, it would be that I will never get into space. But I will never forget that I was there and I saw it as humanity first touched the stars. "It's a sky-blue sky. Satellites are out tonight". I have an app on my iPhone that grabs all of the heavens above data and I can set reminders for iridium flares and ISS flybys. My wife is not interested in satellites either! I'm not sure where to enter this, so it would be seen. But an actual astronomy blog is probably better than the DishTV radio telescope one. Does it possibly have astronomical applications? Getting the most out of the few photons we collect from dark, distant objects would seem to be useful. Yes?